Our team members know that it is not only their right, but their responsibility to work safely and to identify any issues requiring corrective actions in their work environment so that it is possible for them to work safely. 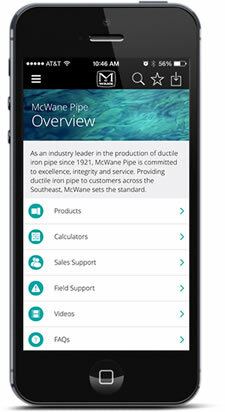 This culture is instilled in each of our team members from their first day of new employee orientation and throughout their careers at McWane, Inc. Team members receive between three and five days of EHS training, depending on their pending job responsibilities, and then an average of 60 hours subsequent annual safety EHS training. This training prepares team members to not only comply with regulatory requirements, but also to identify potential hazards and learn how to take necessary corrective actions. EHS training at McWane is conducted through group discussions, classroom lectures, online computer-based sessions and hands-on demonstrations. Because of the engaged culture, team members actively participate in training activities, including serving as lead instructor and sharing their experiences. The culture at McWane encourages all team members to become active, engaged participants in their work environment, in various safety committees, in inspections and audits, and engage in evaluations of capital improvements at both the engineering and pre-production stages. Through the knowledge, skills and participation of team members, the health and safety culture at McWane fosters the concept of continuous improvement. The engagement of team members to improve their work environment is also demonstrated in the annual McWane Ergo Cup competition. In this competition, teams of management and hourly employees at McWane facilities work together to identify a potential ergonomic risk and to brainstorm, design and implement solutions. All solutions are then shared throughout the organization to enable others to eliminate similar risks. At McWane, the health and safety culture enables team members to become an integral part of their work environment, driving our philosophy of continuous improvement. Our own Andy Boise, a melting foreman at McWane Ductile Ohio, composed lyrics and music to create a VPP Song, Everyone Goes Home From Here.